Member *2112 of WatchUseek and ofcourse owner of the great dedicated Sinn 142 (I am wearing my 142St.S today!) website shows off his collection! A nice variety of watches he has here, vintage and new! 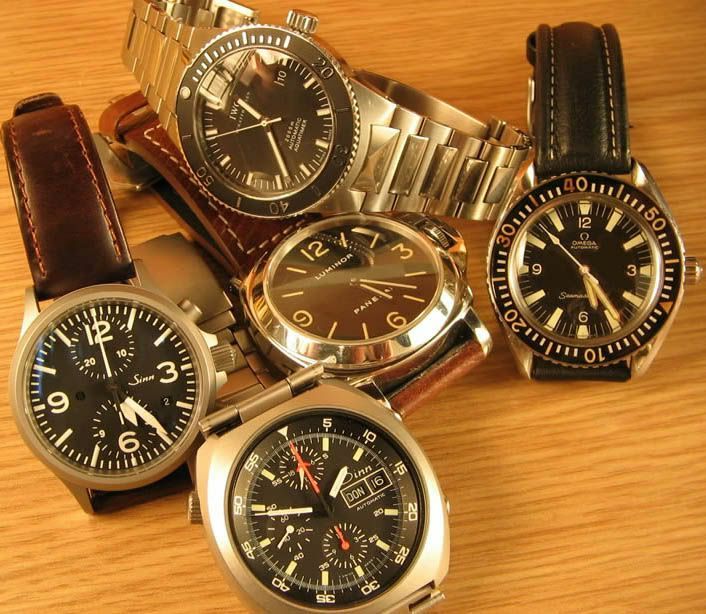 Almost every watches (except for the Sinn 142 maybe) reflects a great balance between design and functionality. *2112 writes he getting rid of the AquaTimer soon.. Too bad, because it definately makes a statement in his collection!